We understand the home buying and home selling process can be overwhelming at times. Wenzel Select Properties compiled a list of valuable resources for home buyers and home sellers. The below real estate resources can guide you through the process of buying a home or selling a home. You can also speak with one of our agents if you have any questions. Call our office at (630) 430-4790. 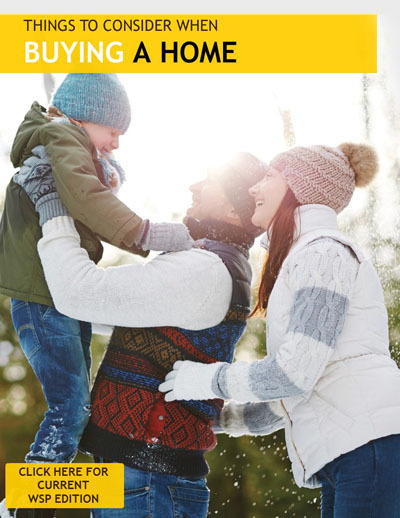 Our Home Buyers Guide offers valuable information to those looking to purchase a new home. We also have information on closing costs and financing your home. Are you thinking of selling a home without a Realtor®? Our Home Sellers Guide lists the disadvantages to selling your home by owner. Plus, tips on staging your home, home odors and foreclosure risks. What questions should you ask when Hiring a Realtor®? We’ve put together a list to ask yourself when hiring a realtor. You think your home looks perfect and are ready to sell it for a high price. But, don’t let your dream turn into a nightmare because you did not get a home inspection. Here’s a checklist for your Home Inspection. Moving Tips – Wenzel Select Properties has compiled a Moving Tips checklist to guide you through the moving process. Homeowners Utilities – Here’s a list of utility companies with phone numbers and a link to their website. Real Estate Terms – We added a glossary of real estate terms to help you with the buying and/or selling process. Preferred Vendor List – Our preferred vendors when buying or selling real estate includes Appraisers, Architects, Attorneys, Home Inspectors, Mortgage Lenders, Remodeling Contractors and more. Wenzel Select Properties is a real estate company specializing in selling your home, buying a home and renting a home. We are located at 4941 Main Street in Downers Grove, Illinois 60515. Our real estate brokers have clients from Downers Grove, Darien, Willowbrook, Lisle, Oak Brook, Lombard, Westmont, Woodridge, Glen Ellyn, Burr Ridge, Hinsdale, as well as other Chicago locations. Call a Wenzel Select Properties Real Estate Broker at (630) 430-4790.